Several lawmakers are questioning a dubious purchasing arrangement by the Public Health and Environment Department — also known as a kickback scheme — and are demanding that Gov. 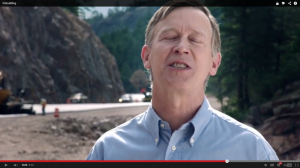 Hickenlooper explain the secret $2 million expenditure. We reported on the no-bid scam back in March, wherein state officials had circumvented the legislature in order to buy equipment for Colorado’s high altitude emissions lab to compete with private business. And, we car owners are paying for this scam through higher prices tags for outdated emissions testing. The bipartisan letter to Hick that was released yesterday questions the cozy relationship between the state agency and Envirotest, a private contractor that does the emissions testing. The lawmakers want to know why the Envirotest contract was quietly changed without the legislature’s knowledge, to charge consumers higher fees in exchange for purchasing all of that new equipment for a questionable lab. The letter was signed by Sens. Mary Hodge, Kent Lambert, Tim Neville, Kevin Grantham, and Reps. Bob Rankin, Joann Windholz and Dan Nordberg. The lawmakers asked Hick to put a hold on all equipment transfers or purchases related to this contract until state purchasing rules are “followed to the letter” and the legislature fulfills its proper role of appropriating the funds. Neville said in a statement the deal smelled suspicious, and it does rank to high Heaven. We agree with their call to the governor to put a stop to it, but the only response from Hick’s office has been a chorus of crickets. I very much want to see the Colorado legislature and Colorado Peak Politics stay on this story. I'm shocked and very disappointed Local TV stations are protecting Hickenlooper again. I expect 9 news to protect Hick, Fox 31, you have been going limp now for a while, Wake Up!